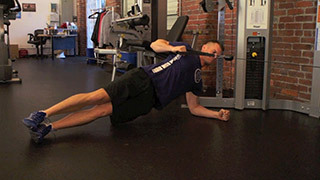 The side plank cable row is a beginner level exercise that targets the mid-back and obliques. The side plank row is a challenging back exercise that gets your core fired up as well. 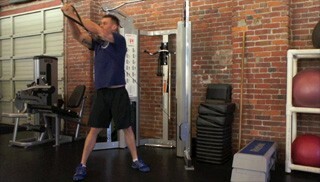 The cable woodchop is a beginner level compound exercise that targets multiple muscle groups. This exercise is suitable for all fitness levels and would fit great in any fitness program. The reverse woodchop is a beginner compound exercise that targets the legs and mid-section. This exercise is suitable for all fitness levels. The double leg drop cable pullover is an advanced core exercise. This is a great compound exercise that not only targets the core but also the back and the arms. 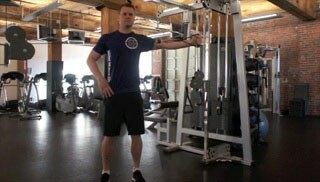 The overhead cable tricep extension is a beginner upper body exercise. This exercise isolates the triceps and is great for increasing lean muscle mass. The rear leg extension is a beginner lower body exercise. This exercise targets the glutes and hamstrings. The reverse lunge with the high cable row is a beginner compound exercise. This exercise targets the quads, glutes, shoulders and arms. The single arm cable squat row is a beginner full body exercise. 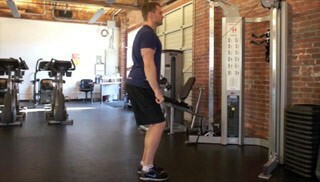 This is a great multi-joint compound exercise that targets the quads, glutes, back and arms. The single arm tricep extension is a beginner upper body exercise. This isolation exercise strengthens and tones the triceps. The one arm seated row is a beginner back exercise. This exercise targets the mid and upper back. The side cable cross over is a great core exercise that really targets the obliques. This is exercise can be done by any fitness level and would be a great addition to any fitness routine. The straght arm pull down is a beginner back exercise. This exercise is suitable for all fitness levels and really isolates the lats.